Monday gave me my first lie since arriving. I'd decided to miss the early screening of Kenneth Branagh's Sleuth remake as a) it's supposed to be bad, and b) Ian and I had other plans. 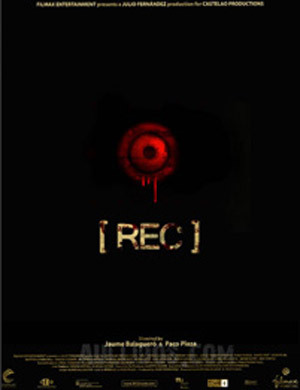 Since we'd overheard that there was to be a second private screening of Jaume Balaguero & Paco Plaza's [REC] that morning, we decided to investigate. We weren't the only ones... on arrival at the Technicolor screening room on Peter Street we were greeted by Ant, Bruce and Mitch who'd all had the same idea as us! We got in okay and were then presented with a classic Kodak moment as Ant took one of the luxurious reclining seats... which totally collapsed leaving the poor guy floundering, staring at the ceiling. Even the reserved Japanese girl seated to our right couldn't prevent herself from giggling behind her hands. Hilarity over, and on with [Rec] which turned out to be every bit as good as Paul had told us. Angela (Manuela Velasco) is a reporter, following the night shift at the local fire station with her trusty cameraman. They tag along when the firemen are called to an apartment block where the other residents have heard screams coming from an elderly lady's flat. And then all hell breaks loose! The documentary style is nothing new, but is done really well here, the handheld shots really reflecting the panic when the situation descends into chaos. Even better, the absence of any musical score means that you're totally reliant on natural sounds, so there are no cues as to when the shock moments are going to happen - and believe me, there are plenty of them in this movie. 28 Weeks Later is an obvious comparison, but I found it most similar in tone to Right At Your Door, and if there is to be any criticism levelled towards [Rec] then it is that if offers almost too much explanation for what is going on, where perhaps less would have been more. 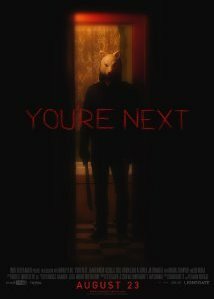 A difficult sell to the muliplex crowd, but definitely one of the best and most original horror approaches I've seen this year - and it goes without saying, the inevitable Hollywood remake is already being planned. 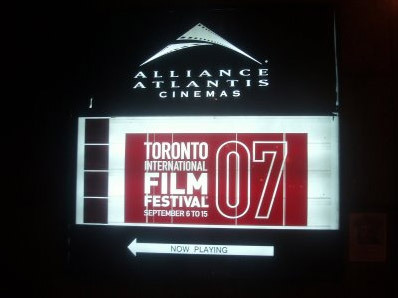 Leaving Ian and Mitch downtown, I caught a cab with Ant and Bruce as we headed back to the Manulife Centre for the afternoon's cinematic selections. I picked Lee Kang-sheng's Help Me Eros, a Taiwanese film about a suicidal guy who grows marijuana plants and hangs out with the girls at the local nut stands. He's also addicted to a telephone helpline and begins to stalk his operator, not realising that it's the girl's bigger friend who is actually his handler. It's a slow character piece, beautifully shot, full of neon lights and recurring themes of exotic food and sexuality. 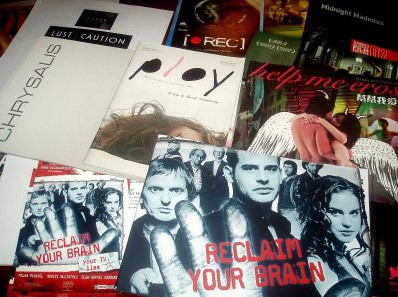 Next up was Hans Weingartner's media satire Reclaim Your Brain (Free Rainer). 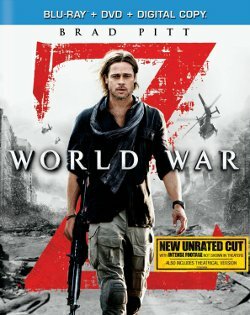 Moritz Bleibtrau (Run Lola Run) plays an obnoxious television executive who commissions the dumbest programmes such as a reality show based on the Titanic. After a major car accident (this year's most repeated scene - see also Stuck later) he totally re-evaluates his life and sets about a guerrila campaign to manipulate the ratings and get intelligent programmes back on the screen. If this had been a pacy, slapstick approach to the subject matter then I might have stuck with it, but unfortunately after a promising start it lost its bite and so I walked out. I bumped into Ian, Paul and Johanna back at our hotel - they were going out to a Japanese film party somewhere downtown - then had some food and walked along to the Cumberland. Perhaps one of the more surprising selections for the Gala treatment at TIFF this year is Renny Harlin's Cleaner, bearing in mind his recent track record with The Covenant, Exorcist: The Beginning and the woeful Mindhunters. With his new film he wisely goes back to basics, crafting a film that is more about the characters than it is the action. 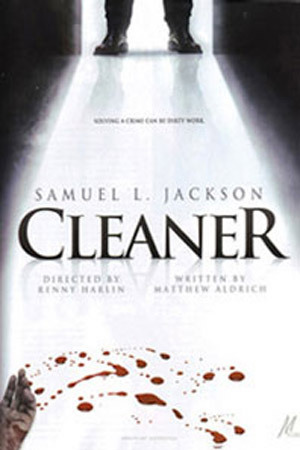 Samuel L. Jackson plays the titular Cleaner, an ex-cop who cleans up the blood and body matter after a death. Cleaner is a routine thriller, but the performances are solid and there's some nice directorial flourishes and a breezy score. A decent DVD rental rather than a theatrical experience methinks. Finally it was a quick dash down to the Ryerson for the latest Midnight Madness screening, Stuart Gordon's Stuck. The director was present along with actress Mena Suvari and a number of other cast members to introduce the film and take part in a Q&A after the screening. Brandi (Suvari) is a care worker who panics after hitting a homeless guy Tom (Stephen Rea) while driving home after a party. With Tom still caught in the windshield she drives home and locks the car in the garage, terrified of what she's done. Despite Tom's pleas for help she refuses to call 911 and the longer it goes on she realises that she can't allow him to escape. Stuck is a pitch black comedy which - you might be surprised to learn - really is based on a true story, although the ending has been changed here for dramatic purposes. Some of the comedic moments (involving Brandi's boyfriend and best friend) are hit and miss, but the scenes between Brandi and Tom are well played and there are a couple of delightfully unpleasant moments. As a postscript to the Q&A, the long-mooted House Of Re-Animator (The White House-set sequel starring William H. Macy) looks like it won't be happening since they're finding it impossible to raise the investment required with the political nature of the screenplay. 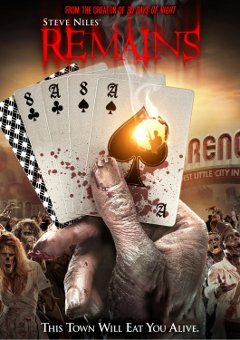 Refusing to deliver the routine sequel you might expect, Zombie has turned a potentially soulless cash-in into something surprising.